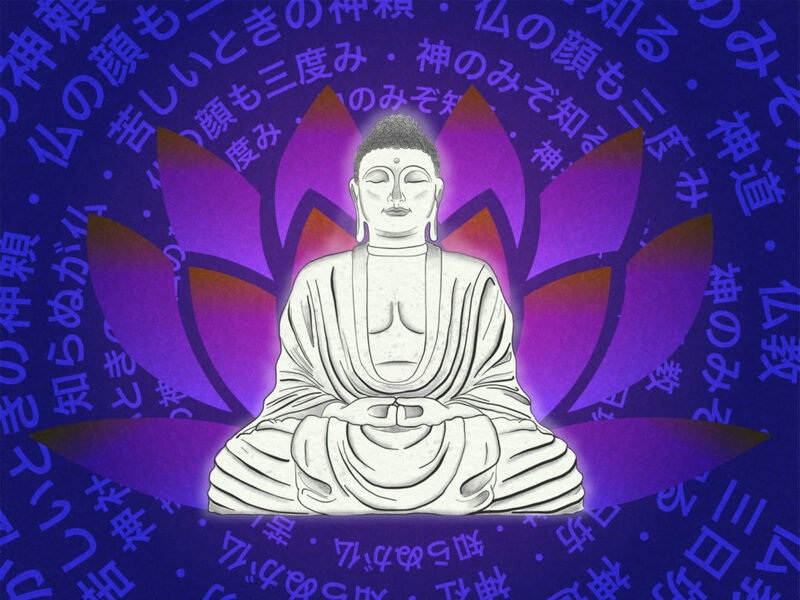 Since Buddhism played an important role in creating Japanese culture, GaijinPot presents a primer on some of the ways that its influence has also changed the language itself. Before considering the role that Buddhist and Shinto rituals have in Japan, it is first worthwhile distinguishing between them. First, 神道（しんとう） (Shinto) is the honoring of 神（かみ (often respectfully referred to as 神様（かみさま) spirits that represent the way the earthly realm interacts with the spiritual one. This worship takes place at a 神社（じんじゃ） (Shinto shrine). So far so simple. However, things get a little more complicated with the people and entities involved in 仏教（ ぶっきょう (Buddhist) philosophy. Buddhism has two key figures called the 仏ほとけ and 釈迦（ しゃか. The word 釈迦, or Buddha, refers to the creator of Buddhism, Gautama Siddhartha himself. On the other hand, 仏 refers to someone who has obtained enlightenment, but not necessarily the original Buddha himself. The statues of the Buddha Kannon, for example, are often represented as being female — so obviously she isn’t the original (male) Buddha. She would therefore be 仏, but obviously not 釈迦. Because anyone can in theory be 仏, assuming they are willing to dedicate themselves to Buddhist virtues, you will occasionally hear the term being used to compliment someone for their saintly nature 仏のような人（ひと）だ, for example, is a way to say that someone is so patient they are almost Buddha-like in nature. Naturally, in the real world, not everyone is suitable for the extreme discipline required to become a Buddhistmonk. As a result, an expression 三日坊主（みっかぼうず） was created for these people. This comes from the stories of young monks (坊主) who would shave their heads only to discover that the harsh discipline and restrictive rules of the temples were too much for them and would usually quit — after three days (三日). Over time, this has come to mean someone who gives up on things too quickly. The twin religions of Buddhism and Shinto have become such a part of the culture that its way of thinking has bled into the language itself. The old joke that “the wisest is the one who does not know” could almost be a Japanese piece of wisdom. Similar to the English aphorism that “ignorance is bliss,” the Japanese say that not knowing makes one as peaceful as a Buddha 知（し）らぬが仏. Or, as a Shinto practitioner would have it: Don’t worry because 神のみぞ知る (“God only knows”). If the ignorance gets too much and you are forced to face hardship, Japan has a bleak saying that 苦（くる）しいときの神頼み is turning to the Kami at times of troubles. It is often said bitingly to mean that one only turns to the gods when things are at their darkest. While many Japanese will tell you that they are not religious, it is often very difficult to separate Japanese culture from its religious roots. The twin religions of Buddhism and Shinto have become such a part of the culture that its way of thinking has bled into the language itself. By internalizing some of these words, it offers learners a way to express themselves about these matters. They can also gain a greater insight into the complicated way religious thought informs even the relatively secular and modern face of Japan. 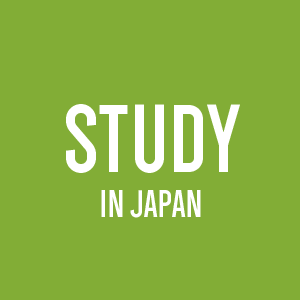 Do you want to study at a Japanese language school? We can make it happen! 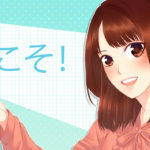 Resolved to improve your Japanese in the new year? 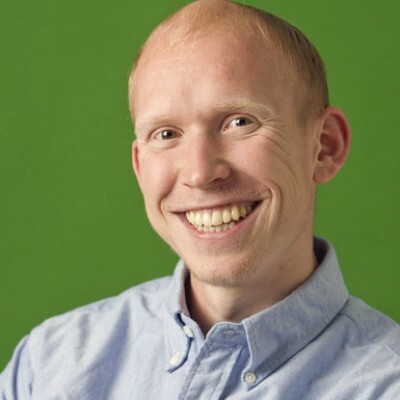 These tips from our resident GaijinPot Study guru can help! 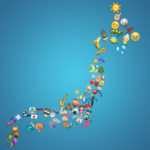 What emojis like ,  and  actually mean, how to partake in Japanese celebrations using them, plus some go-to phrases. Trying to learn Japanese but getting stuck on the characters? 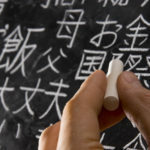 Find out how kanji actually work with this breakdown of its components and their functions.